As usual, this year’s Women in Travel Summit left me with a whole pile of goodies to take home — one of them being the DELSEY MONTMARTRE + Personal Tote that has quickly become my new favorite travel companion. I always like to keep an “under-the-seat” bag handy when flying with my easy access items like a good book, my computer or iPad, and a water bottle. 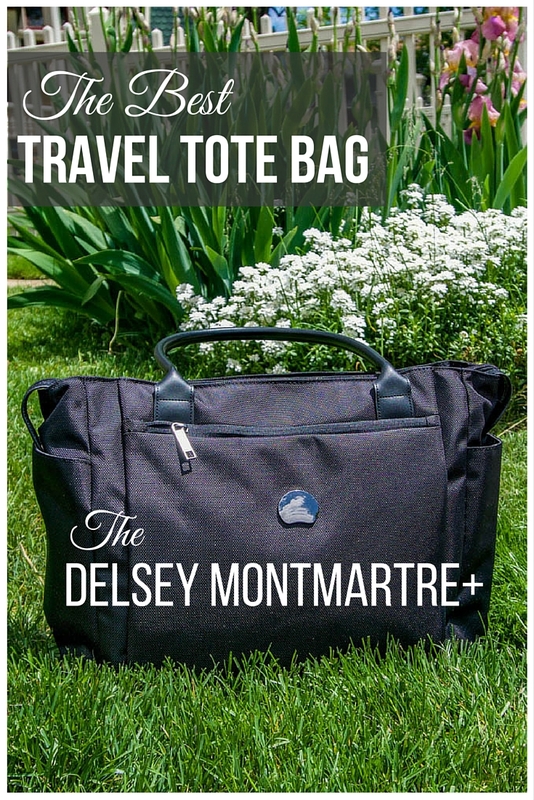 The DELSEY MONTMARTRE + Personal Tote bag has all that I need and more, and is the best travel tote bag I’ve found so far. I’m highlighting a few of the bag’s best perks, and you can get your own MONTMARTRE + Personal Tote in black, red, or navy from Amazon. The bag slips right over the handle of your luggage, keeping it sturdy while wheeling through the airport. This simple feature is actually my favorite part of the bag. 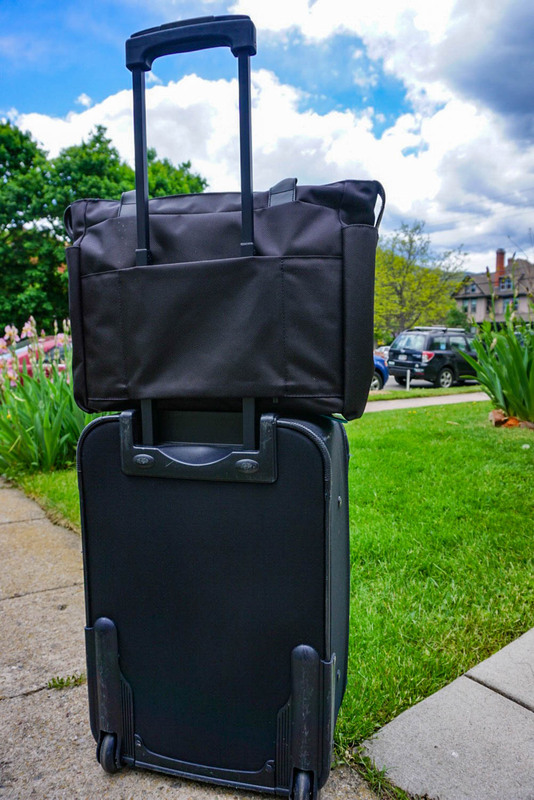 Not having to play balance games with a tote bag on top of a rolling luggage piece makes traveling so much easier! Bags secure, and ready to head off to the airport! While the DELSEY MONTMARTRE + is great for travel, its slim and sleek design makes it perfect for business and every day use as well. 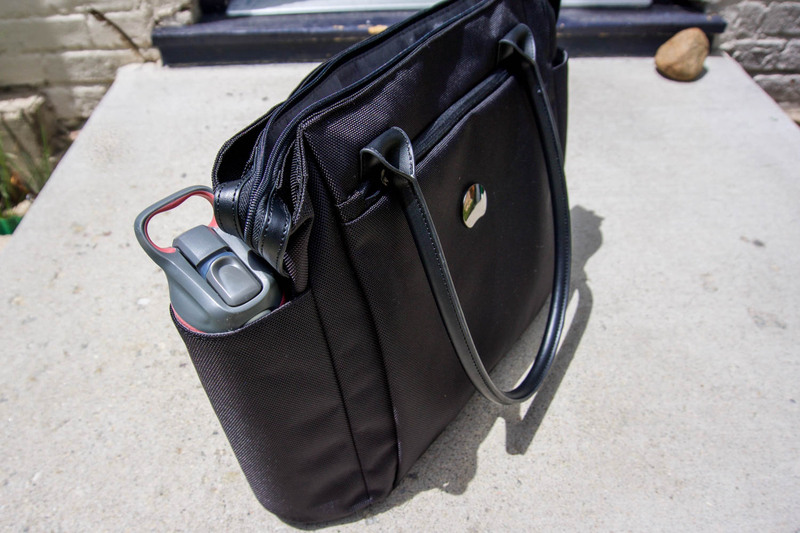 Even though the bag is spacious, the way it’s designed prevents it from being bulky while holding it and keeps it clean looking for any occasion. The slim and sleek DELSEY MONTMARTRE + Personal Tote bag. 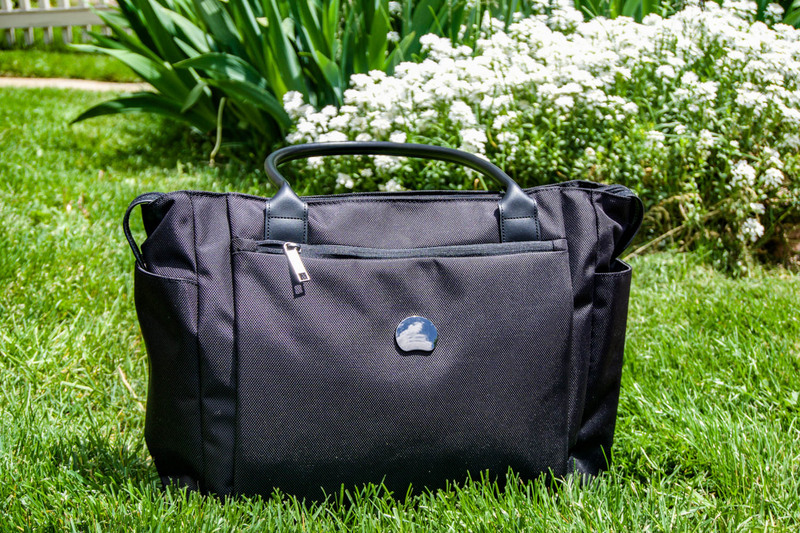 I always have my laptop with me when traveling, so the special protection sleeve built into the bag is the perfect convenient feature to keep my devices safe during the hustle and bustle of travel. It’s a good place to store any documents or papers as well so they don’t get crinkled and shoved to the bottom of the bag. I also love having side pouches specifically for my water bottle so I don’t have to worry about it spilling all over the inside of the bag. 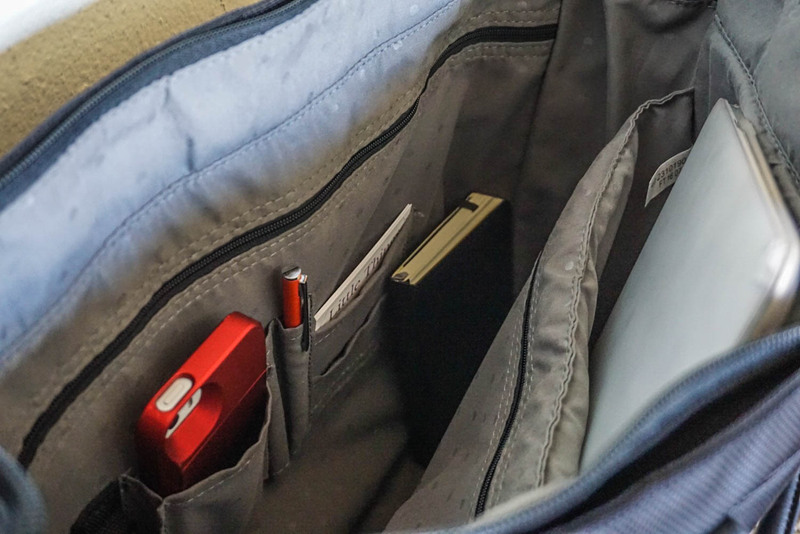 The easy access to well organized and practical compartments make it much easier to find what you’re looking for on the go. Storage compartments inside the DELSEY MONTMARTRE + Personal Tote bag. Water bottle compartment. There is another identical compartment on the other side of the bag as well. If you’re searching for the ultimate travel companion, you are in the right place. 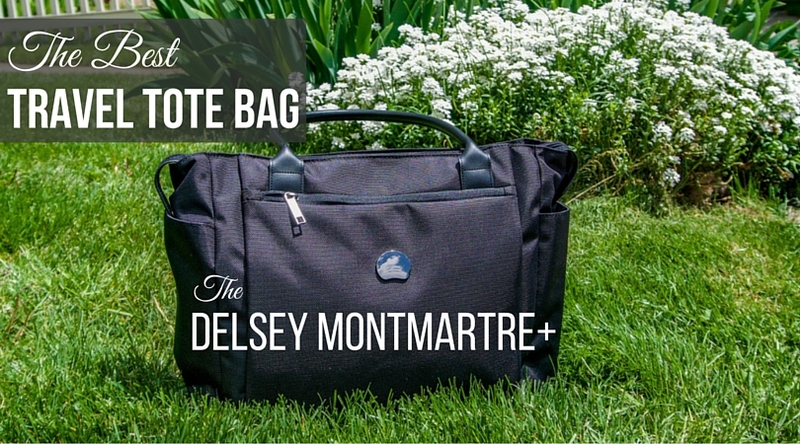 The DELSEY MONTMARTRE + Personal Tote won me over at first sight, and now we can’t be separated. I use it not only when traveling, but for work and every day use as well. Get a bag of your own and you may find yourself in the same situation! I love this bag!! And just love the little photo shoot you guys did together! !